7:00 - 7:45 PM: Beg. Bachata (RM B) 7:00 - 7:45 PM: Int. Bachata (RM A) 7:45 - 8:30 PM: Beg. Salsa (RM A) 7:45 - 8:30 PM: Int. 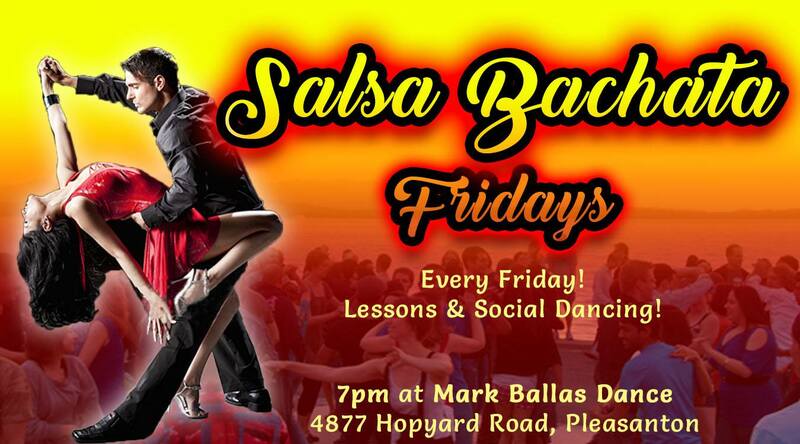 Salsa (RM B) 8:30 - 10:00 PM: Salsa & Bachata Social Dance Party $15 for two dance lesson and social dance (Sign up for group class passes to receive a discount!) Free for Students with a Studio Membership! Both beginning and intermediate level classes are available for all types of dancers.